Is the mother of invention dead? It has been said that in very ancient times a person with bad teeth would die. Disease didn’t kill them. Starvation did. Apparently, there was no soft food. 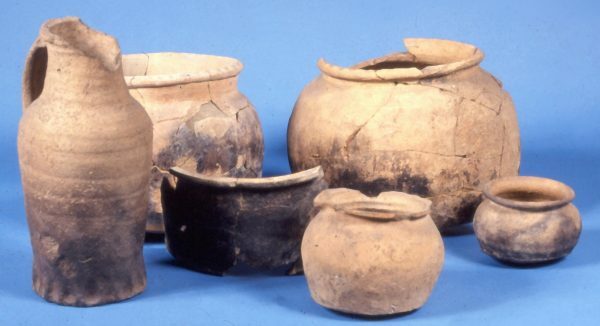 All this changed with the invention of pottery, allowing for the cooking of soups and stews. While I tend to think tooth-less early man would tenderize his meat with a rock before starving, or just eat berries, I nevertheless brought up the pot as a life-saving invention while speaking to a millennial. Millennials are members of a generation that greatly mourns the passing of the American age and the lost opportunities that went with it. I argued that coming up with the idea for a pot when there were no such things as pots required more than an idea, that strong vision and imagination was needed. I felt bad because he and perhaps many others were victimized by the times; their creativity stifled by a bad economy and the aggressive, eager multitudes in developing countries. Still, he made me wonder just how hard or easy it might have been to invent the pot. The usual case is that most people are blind to innovation. They just can’t see possibilities outside of normal routine. There are, however, a few who do. After first being treated like loons and maniacs, they eventually win over the tribe and move society forward. But I guessing it is likely that pottery and even the wheel may have been discovered by accident, in multiple places, at multiple times. These were things waiting to happen. In that respect, I can sympathize with the millennial. I tried thinking of something relatively simple that has changed people’s lives in that past 100 years or so. Sliced bread? Air in tires? The ballpoint pen? There must be something. Nothing really hit me, although I’m certain it is there. If someone reading can think of it, please comment and let me know. In the meantime, I think my millennial friend is just going to have to become a nuclear scientist, or something of that sort – and if he’s to change the world he still will need an incredibly creative, open, unfettered mind.